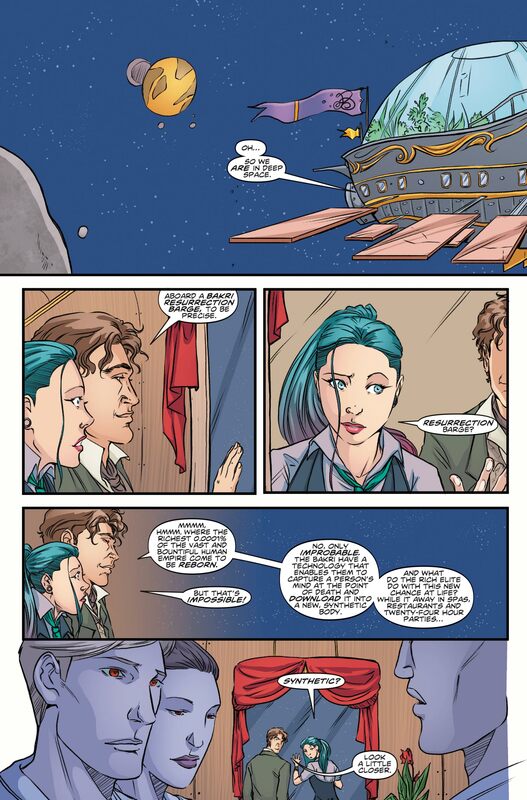 Much like the previous issue, this story from Titan Comics mixes together a number of themes recently seen in the television show, and, in particular, there’s seemingly several cues taken from Series 9. There’s an exploration of secret identities being suppressed (much like in the Zygon two-parter) and there’s even some wibbly-wobbly reverse engineering, last seen in Before The Flood. However, whereas Issue #4 used familiar elements in a less impactful, by-the-numbers approach, this latest entry employs them much more effectively and at times can actually be rather thought-provoking. The very concept of the Synths – human consciousnesses uploaded into newly manufactured bodies – has a lot of deep and meaningful potential, and there’s some satisfying pay-off in how it all comes together. 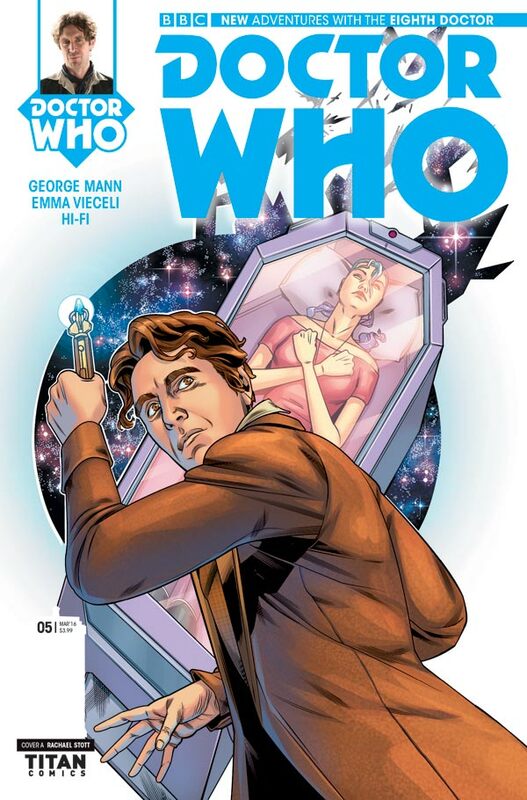 If there’s one downside to this Eighth Doctor finale, it’s that you ideally need to have read and be familiar with the other four preceding issues in order to fully appreciate the resolution – however, that’s to be expected of a climactic conclusion and if anything it’s all the more reason to catch up on this brilliant series if you haven’t already. Some of the revelations come at a quick-fire pace towards the end, but considering the comic spans only around 30 pages, it never feels too rushed or too convoluted. 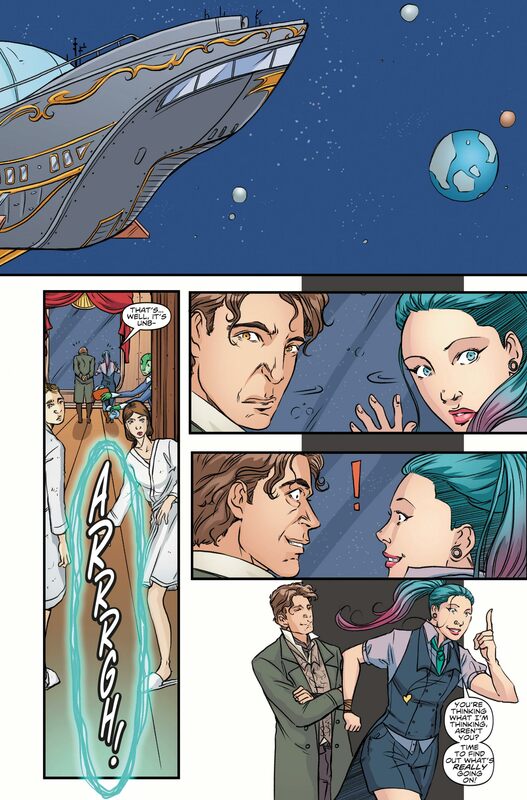 With great writing, a great story, and a heap of great surprises – including a delightfully unexpected treat (or two) popping up right at the very end, just for good measure – there’s absolutely every reason to pick up and enjoy the Eighth Doctor’s latest comic adventure. It’s big on themes and big in scope, neatly tying up loose ends and serving as a fitting finale that feels right at home in the modern era of the series. We can only hope there’s more Eighth Doctor tales to be told in the future!